We did not have visas for our trip to Shanghai. It is difficult when you are traveling without firm commitments. The Chinese government wants too many specifics to grant a visa. So we settled for a 72 hour transit pass. Factoring in transportation to and from Shanghai Pudong Airport we would have two complete days in Shanghai. 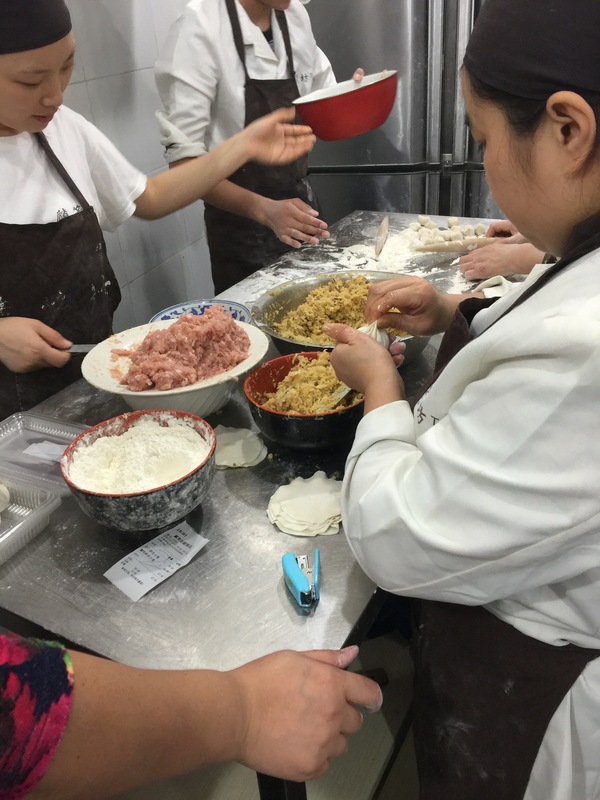 Going with this knowledge we could either cram as much in as possible or accept and enjoy a little taste of Shanghai. We chose the later. We are traveling on a budget so there will be no first class hotels on our trip, instead we will be staying in Airbnb’s, hostels, and couch surfing. 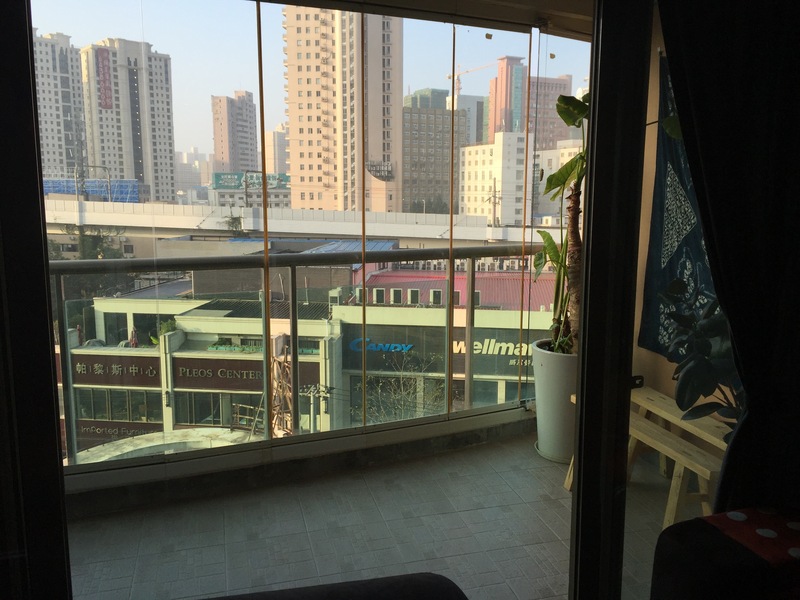 In Shanghai we stayed at Shanger’s Garden View – YunNan Suite. On an Airbnb scale this was a ten! 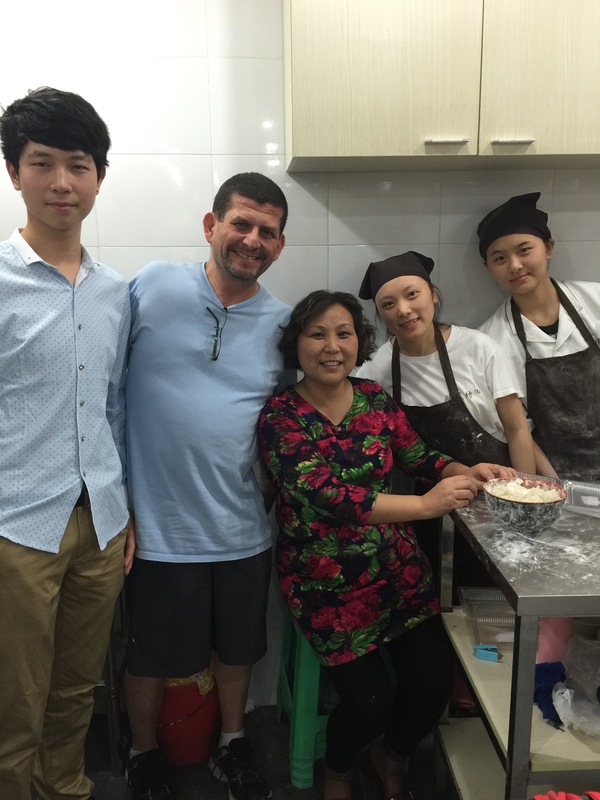 Our hosts, Jianshen and Fong, just happened to be trained pastry chefs with an amazing culinary repertoire! 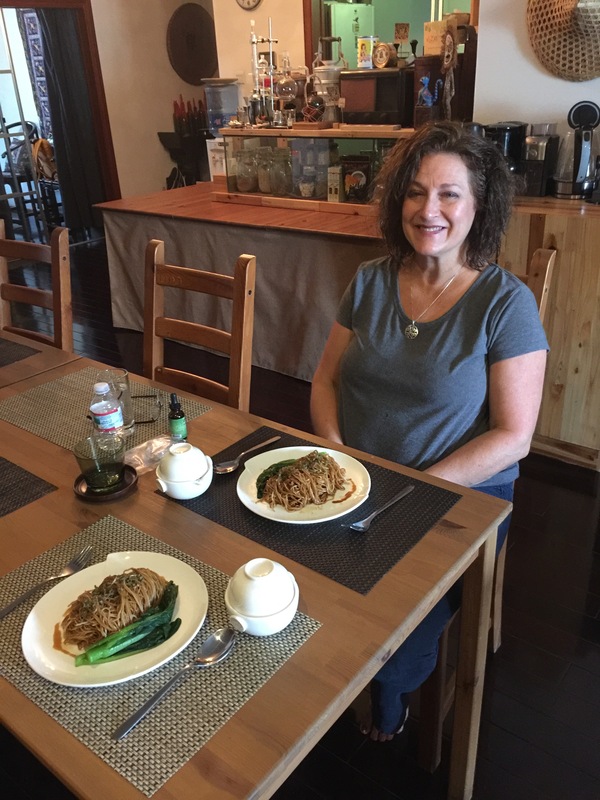 Their place is set up to host travelers as well as dinner parties. Seriously they could be the poster children for Airbnb! 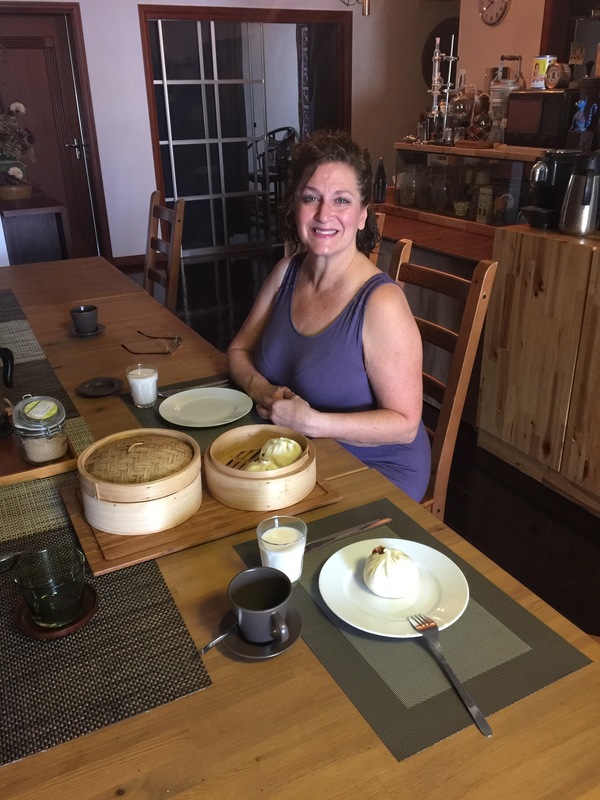 Breakfast – Day 1 – Steamed dumplings with three different fillings. 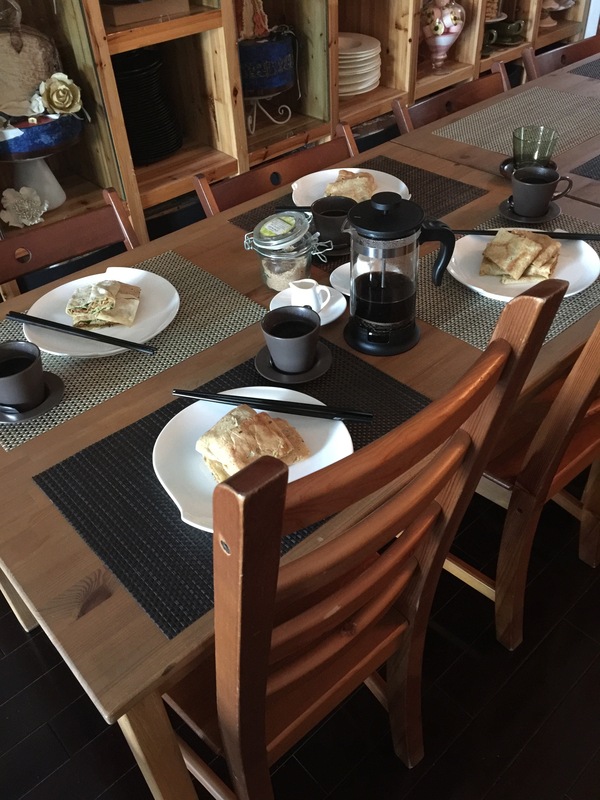 Breakfast – Day 2 – Special Stuffed Crepes. I will say this again. This was an exception Airbnb stay. Most hosts do not treat their Airbnb side business as a real Bed & Breakfast. 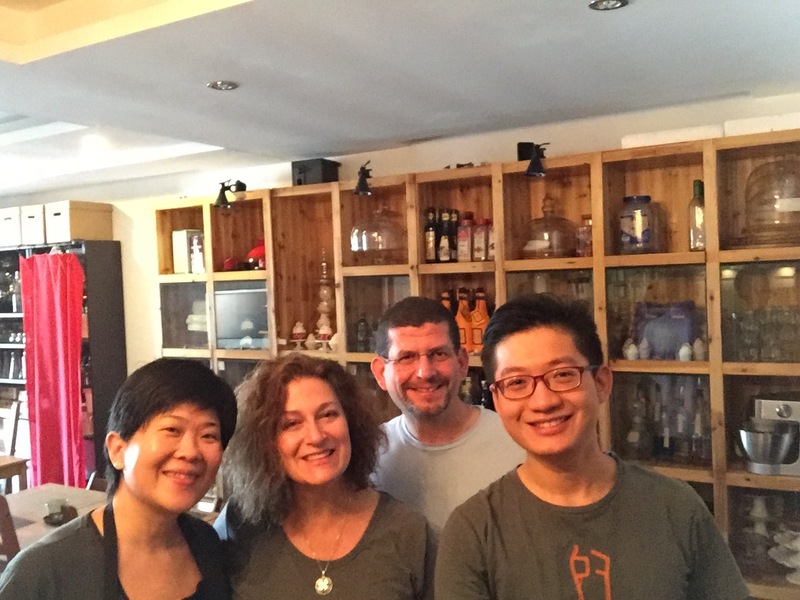 Without a doubt they were the best part of our short time in Shanghai. Our first full day in Shanghai we set out for a walk through old Shanghai. 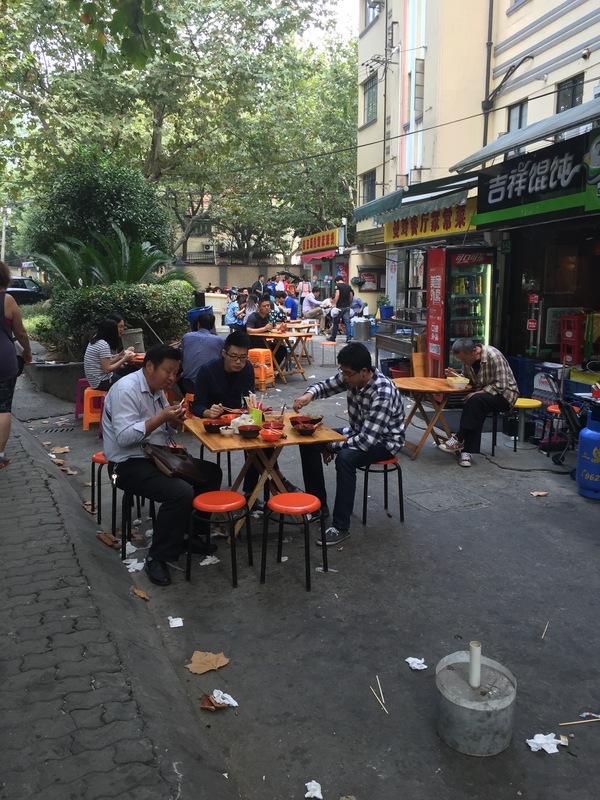 Shanghai is modernizing at a furious pace and most old neighborhoods have been razed. Laurie and I walked close to ten miles before finally catching the metro back. Dorothy’s comment , “We’re not in Kansas anymore”, was never more appropriate! When people say that they love Shanghai probably are not talking about this Shanghai! That said, we had a great day. It helped having my best friend with me to laugh about the truly awful moments with and to share the truly great ones! We held hands more that day then in 31 years of marriage. More to keep the other from tripping over something or getting run over than romance but this type of adventure is really great for our relationship!!! Traveling together in this type of environment really requires teamwork. 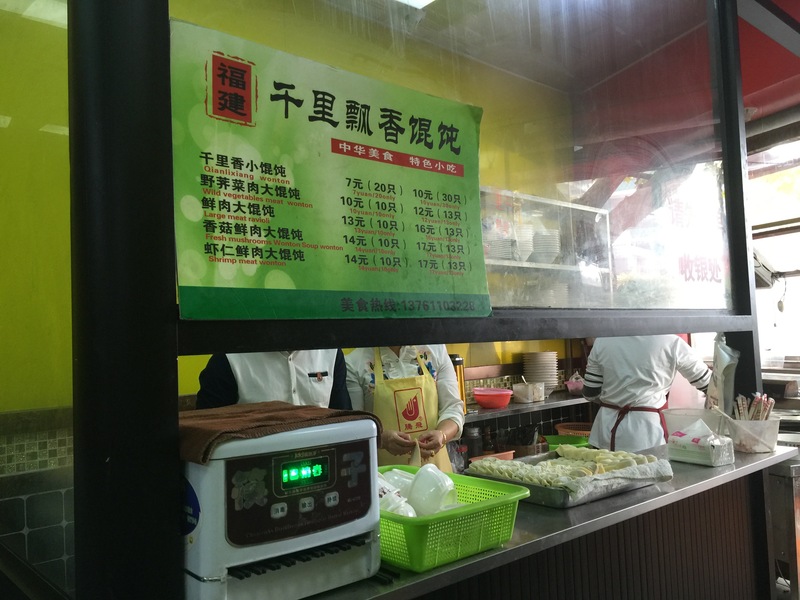 The best part of our walk through old Shanghai was the Noodles. 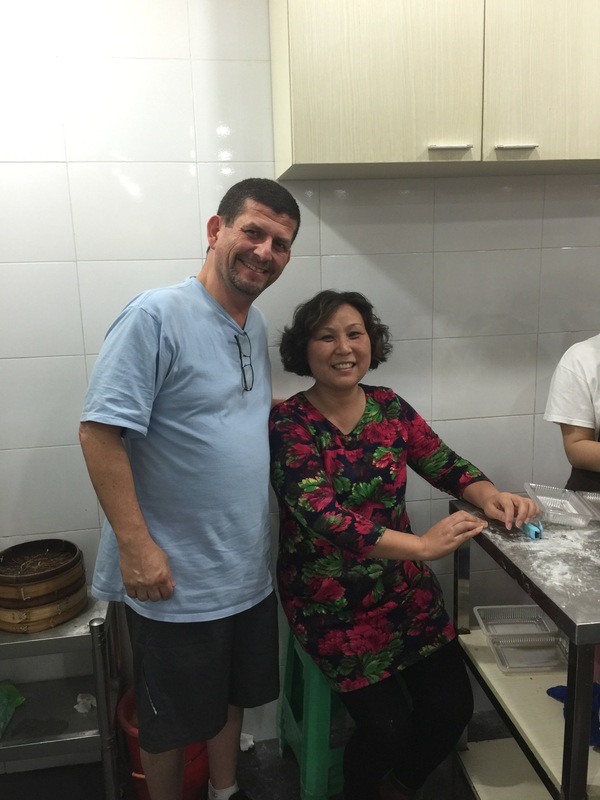 Shanghai is famous for its dumplings and boy did it deliver! It was hot, extremely smoggy, and a little sticky. Laurie was feeling a little light headed and was looking for something to eat. It was close to noon and the sidewalks were beginning to fill up with people eating from little hole-in-the-wall restaurants. Laurie spotted some people eating big bowls of wonton soup and decided that is what she wanted. It looked good but hot soup on a hot day did not seem very appealing to me. However, happy wife=happy life, so I went in pursuit of this wonton soup. Challenges were people shoving and pushing, nothing in English, and no sense of protocol as to how to order or pay. Finally success!!! This was without a doubt the most amazing bowl of wonton soup I have ever had in my life. Seriously, it was magical!!! I doubt that we could find it again without repeating the first half of that very long walk. Which we actually considered the next day. 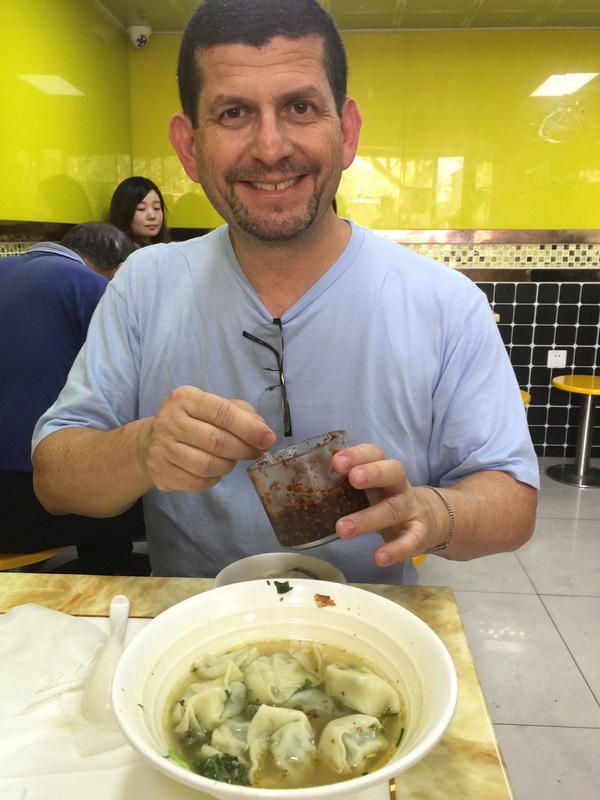 Earlier I had asked our host Jienshen where is the one place he would go to experience the quintessential Shanghai Dumpling. As we approached the end of our walk we finally found it. Once again, when we ask for directions, we found we were standing right in front of it! The dumplings where amazing! 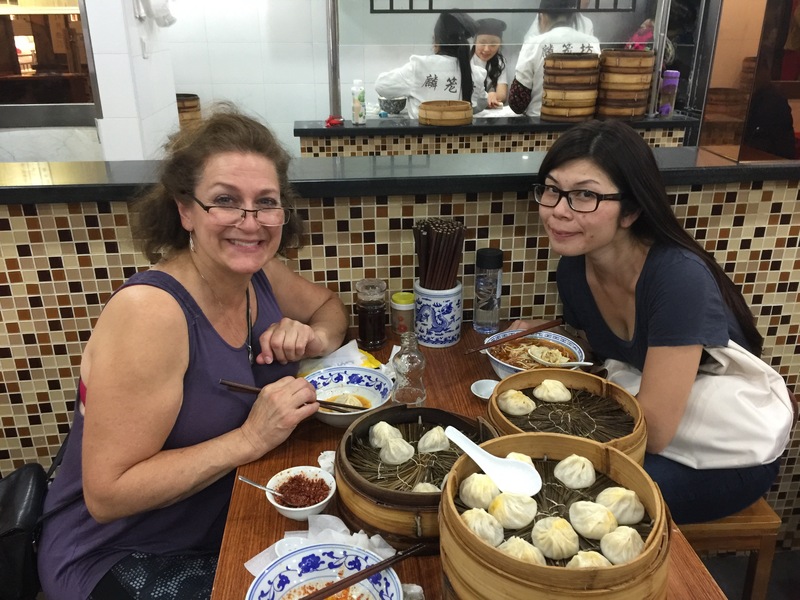 I thought I was ordering single dumplings and was surprised to find big baskets of steamed dumplings being brought to the table. While we were waiting a nice Lady at the next table overheard our conversation and was so excited to hear English being spoken that she asked to sit with us. Linda (her real name!) is a Canadian living in Hong Kong. The owner of this little restaurant was a bit stand-offish at first but by the time I worked my charm on her we were like old friends. Amazing what a little dumpling can do. 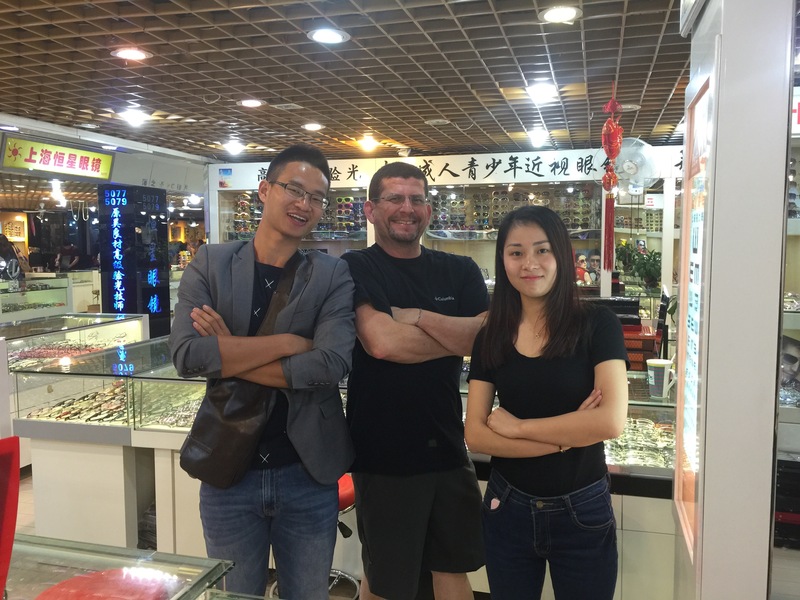 Day two started off in pursuit of new eyeglasses at the Shanghai International Eyeglasses Market. 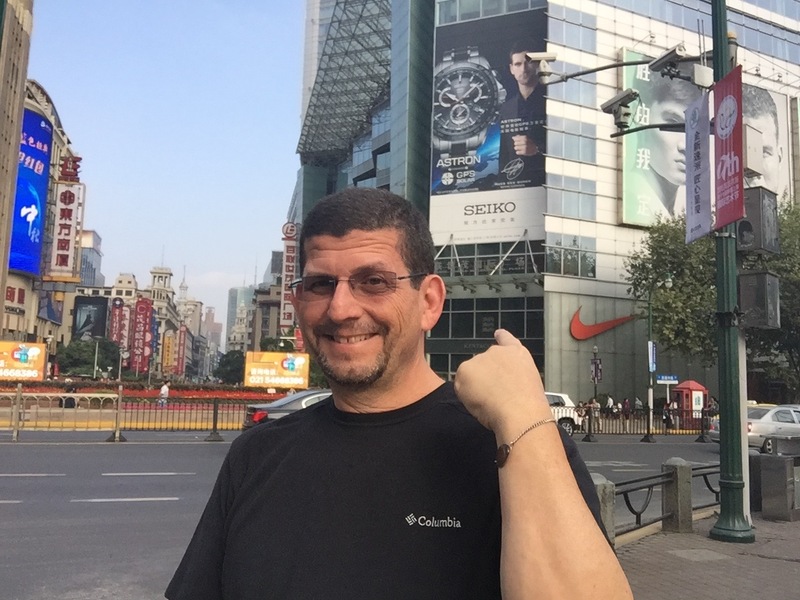 We traveled across Shanghai (city of 24 million!) to this iconic market. 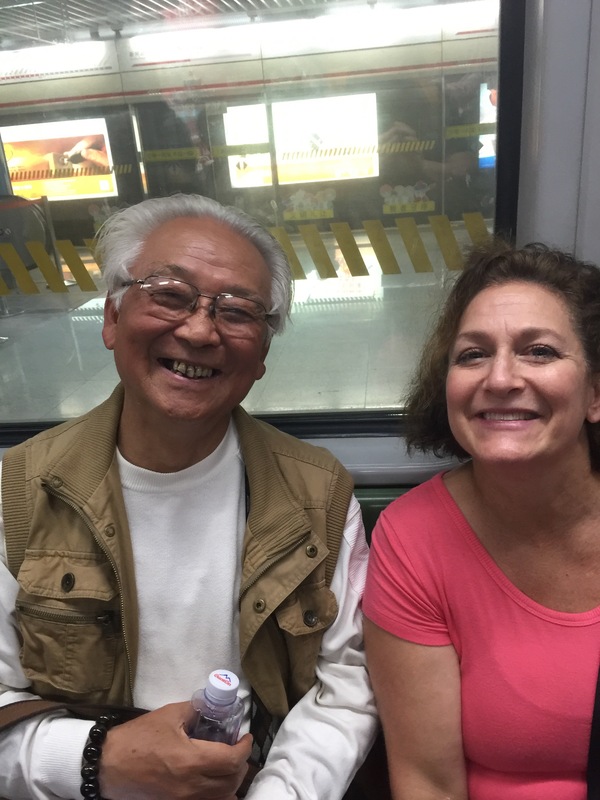 On the way, Laurie struck up a friendship with a man on the Metro. They didn’t say a word to each other but their energy as they smiled back and forth was electric. So hard to explain but it was something very special. The market was hard to find but well worth it. The fourth and fifth floor of an old rickety building held what seemed to be over 100 vendors of glasses calling out to you, approaching you, hoping that you will pick them over the mass of others. Was a bit overwhelming! Finally we settled on a shop because we liked the energy and English of a cute young vendor named Linda ( not her real name!). I picked out two frames and began to bargain. It took a while but I got her down from 1300 Yuen to 400 Yuen ($68) a pair, which was probably 200 Yuen too much, but I am quite satisfied with them. While waiting for glasses Laurie made friends with a very nice man, Tommy, who was also waiting for his glasses. Turned out he paid 400 Yuen also! Overall we really enjoyed our time with Tommy and Linda! 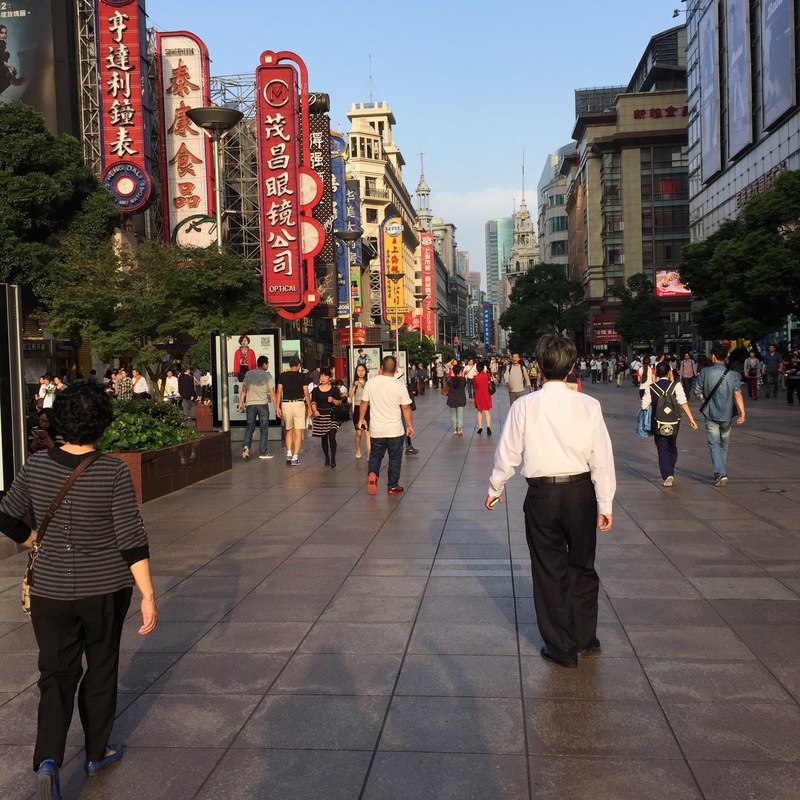 Next we headed off to Peoples Square to experience modern Shanghai. We found ourselves on Nanjing Road. It is the premiere shopping road in Shanghai. Three miles of pedestrian only traffic – lit up like Time Square! It was crazy but also very cool. I loved the contrast of our two days from the very old to the very modern. I even went to the Apple Store! Last thing we did each night on our way back to Jianshen’s and Fong’s place was to walk through the shopping mall attached to the Metro station. We really liked the Carrefour Market. 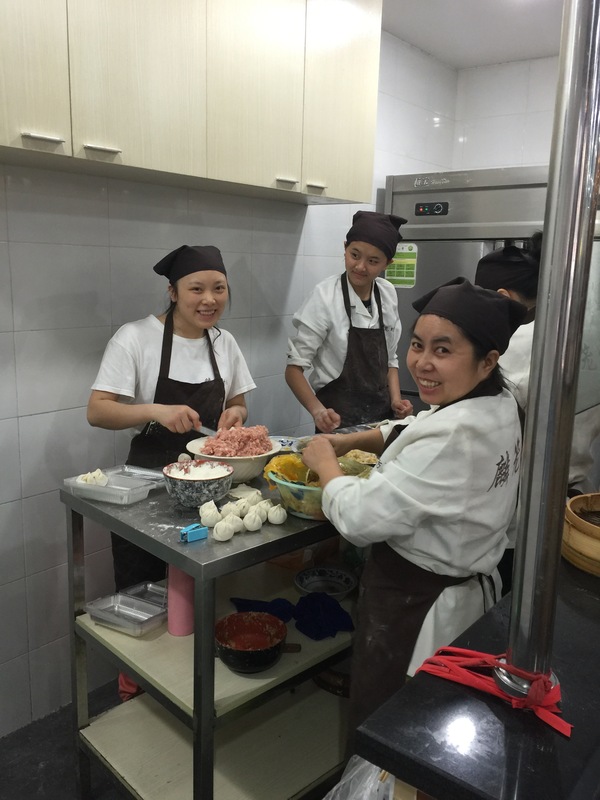 China has a lot of food safety issues and this is one of the safest places to shop. That said, they carry different items than your local Whole Foods – like live turtles, frogs, and eels for your dining pleasure. This is all for Shanghai and we are off to Japan! I hope you have a good sleep with mattress ……and hope enjoy Japan!! 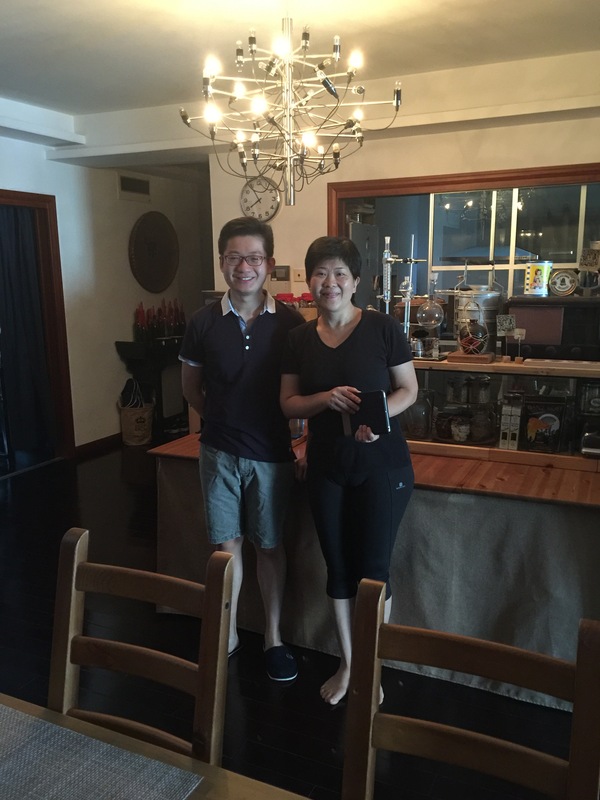 -5 min walking from Minatomirai St. Put “Manyo club yokohama” on your Map app, you can find easily. I’ve never been there but my friends said so fun. You can make your own cup noodle. It was the capital city 700 years ago. Kamakura era is called Samurai’s era, they had many fightings but also constructed lots of temples for missionary activity of Buddhism. Kamakura is bounded by mountain and ocean, it is good location to shut the castle and temples away from enemies. I love to visit old temples and enjoy Macha (tea ceremony of green tea). Laurie was just speaking of you when I found your post in my spam file. Thank you so much for writing! You are so nice. I hope we see you again.